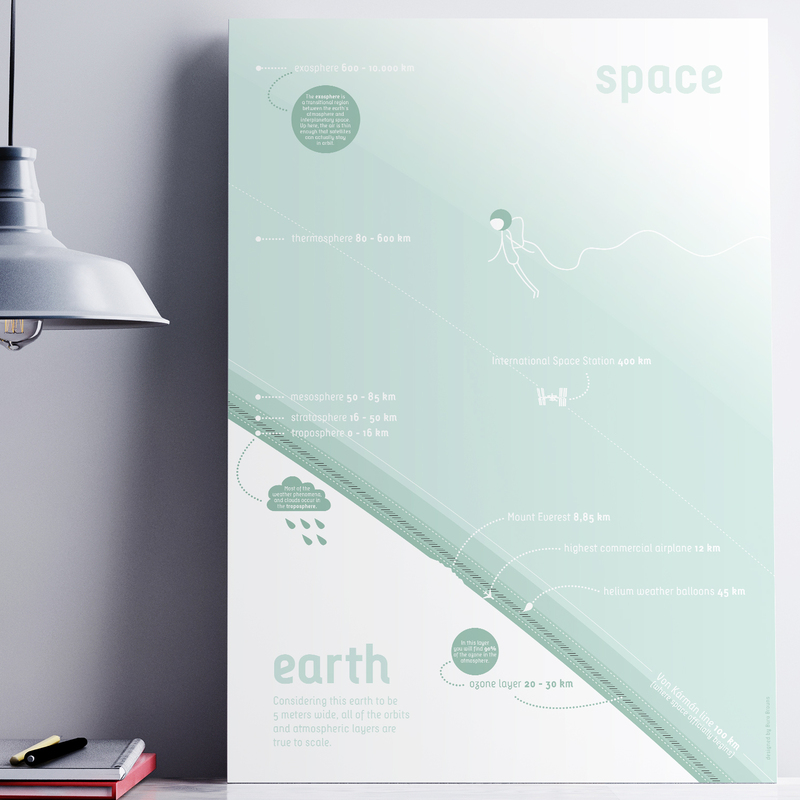 The very first Between Here and Elsewhere-poster, an infographical poster series about the Universe. Yes, I chose a begin capital here, like other people do so for the word god. Absolutely Everything. If thát doesn’t deserve a capital, what does? This poster series is born from my fascination about space. The facts are based on my current MITx course Aerospace Engineering, given by former NASA astronaut Jeffrey A. Hoffman. The coming weeks I’ll translate every course unit into a new infographic. In the end I might screen print some of them. Stay tuned!